For tour operators and coach companies bringing groups to Wales, Planet Wales offers the very best in on-board guiding at competitive rates. Our professional, friendly service combined with informative and entertaining commentary will enhance a group’s experience and contribute to the success of their tour in Wales. For the tour operator, having one of Wales’ qualified and accredited Blue Badge guides is an assurance of quality and a prestigious feature when advertising a tour. 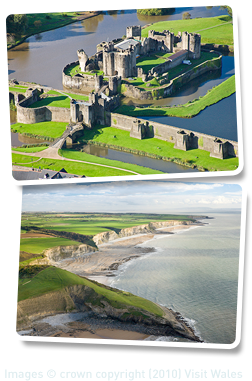 Whether you require a tour of Cardiff, the South Wales Valleys, Swansea and Gower, the Brecon Beacons, Wye Valley/ Vale of Usk or are taking a longer tour through West, Mid or North Wales, Planet Wales provides the perfect blend of knowledge, experience, humour and professionalism that will give your group memorable and enjoyable tour experience. For operators bringing groups to Cardiff we also offer the chance to combine your guided coach tour and our acclaimed Official Guides’ Cardiff Walking Tour with a great value joint ticket which also entitles your group to a 10% discount at the famous Castle Welsh Crafts shop. To ensure your group enjoys the very best in guiding on their visit or for any other enquiries about our coach/group guiding services email us tours@planetwales.co.uk or phone 07849 067449. Planet Wales is affiliated to the Coach Travel Council and Group Travel Organisers Association through our membership of the Wales Official Tour Guides Association.